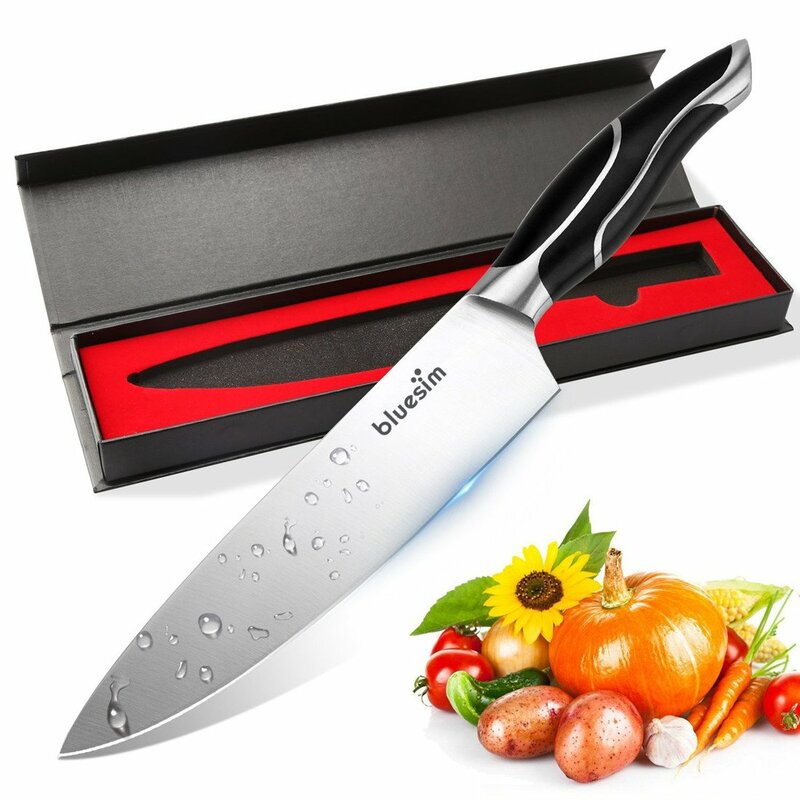 Grab this 7.5 INCH CHEF KNIFE for ONLY $1 with Amazon.com Prime and code from the gleam at bottom of blog post. * Multi-functional Knife - It is classified and designed to be multipurpose knife for professional applications .It is perfect for cutting, dicing, slicing, chopping & mincing of fruits, vegetables, meats, fish,meat off bones and many others. The 7.5" knife is lightweight so your hand will not get tired,exceeding all your requirements! * Elegant & Unique Design - Aesthetically pleasing handle design that looks great in any kitchen.Cooking is an art and your knife should look like a piece of ART in your kitchen. It is the time to show off your top of the line chef knife and the culinary skills. * Gife Box - Featuring a red velvet interior to keep your knife safely stored away when not in use. It makes a great gift for anyone who likes to cook. Perfect gift ideas for for Housewarming, Weddings, Birthdays, Hanukkah,Thanksgiving and Christmas. Bluesim knives are characterized by high-quality forged blades, which are made of German stainless steel. Each blade is forged from a single piece of steel, which ensures outstanding strength and prevents from absorption and discoloration. Ideal for all of your basic kitchen cutting needs. The knife is a stainless steel blade that measures 7.5-inches. This 2.35-mm thick blade consists of approximately 0.6%-0.75% carbon for enhancing strength and durability. The length of the handle is 4.5 inches giving the knife an overall length of 12.5 inches. 16-18% chrome material makes stainlessness possible. Slices easily through tomatoes, onions etc.